Alongside his flourishing stand-up career Nish has also made the exciting step over to the small screen having graced television sets across the nation on the likes of; ‘The Alternative Comedy Experience’ (Comedy Central) curated by Stewart Lee, ‘Live at The Comedy Store’ (Paramount), ‘Live At The Edinburgh Festival’ (BBC Three), ‘Sweat The Small Stuff’ (BBC Three) and ‘Alan Davies As Yet Untitled’ (Dave). As well as a regular writing spot on the re-released (and namesake) show ‘The Kumars’ for Sky One. Nish has also appeared on BBC Radio 4, BBC Red Button & BBC Online. 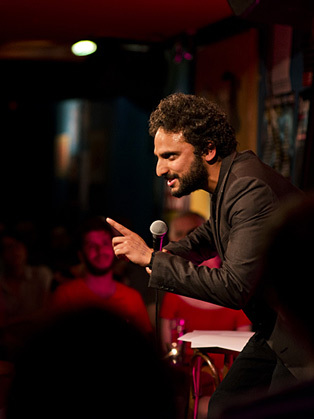 In 2017 Nish appeared in the panel game show Taskmaster, as well as hosting the satirical and surreal news show The Mash Report.